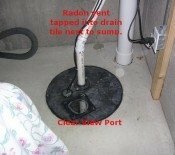 My wife and I recently bought a lake home, and tested the levels before the closing and found after testing twice we had a 31.1 reading and were amazed how high it was and never really gave any thought to Radon in the past and the harm it can cause. 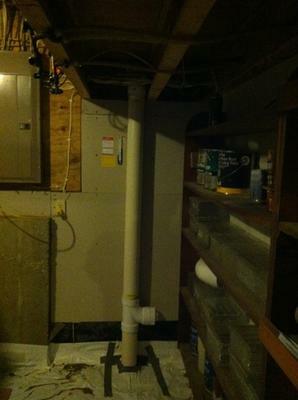 The lake house was built in 1998 and the first owner left half of the basement as exposed dirt. ( why? We can only guess cost?? )We still wanted the home and began our research talking to many people how to solve. We first built a complete wood structure over the dirt, then covered it with the heavy mil plastic hoping to stop the radon, and also to make the area look much better than a half pile of dirt. We retested and found the same readings. So it looked better, but did not solve are problem. Found Val's Indoor Air health Advisor site, and asked him questions, and he responded each time. Outstanding customer service! 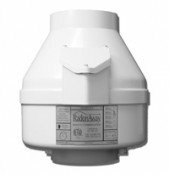 He recommended some options and I really wanted the fan on the outside of the house, as I did not have a great way to go up though a closet, so I bought the Fantech HP190SL, and all the other specialized radon equipment to install it myself. Received in a few days. I installed the system, turned it on, and was able to pull 1.2 vac. As I stated, I covered the dirt in plastic, so I cut the plastic and dug a 2 foot hole in the dirt, put the plastic back around the pipe and sealed up. I tuned it on at 3 pm Saturday, and by Sunday morning the reading was already going down. I reset the siren, let it run for 48 hours short term, and when it beeped, I could not believe it, 1.2 pCi/l! Been running all week on long term avg, and saw a 1.3 and this am 1.2. 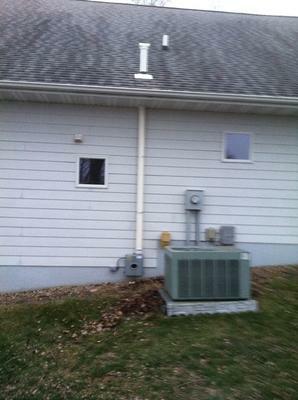 This system works great and looks really clean on our house. No worries for us now knowing we at safe levels. System plus plastic, we have about $1000 in it. 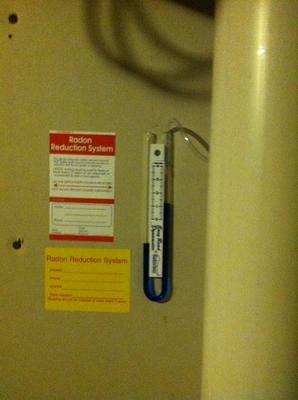 Radon guy that stopped when we were first testing wanted $2500. If you are a little handy, this is the deal for you. Val can recommend the right equipment.